Need a quick Magically Real Fix? Never Fear! The miniature postmodern chivalric romance is here! For Kids! With Princesses! Sick of Thor, and yes, even Harry Potter? Had enough of the usual slick boy vampires? 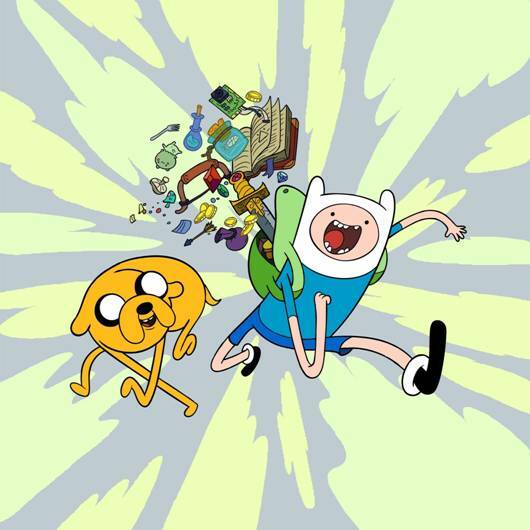 Take 2 episodes of Adventure Time and call us in the morning. We aren’t kidding. We over at Magically Real HQ have just been made aware of Cartoon Network’s resplendent, slightly pomo, a tiny bit queer, adventure animation cartoon called Adventure Time. Adventure Time features hot dog princesses, slime princesses and lumpy princesses, partying bears who prefer to live in the intestine of monster, devil dads who steal vampire daughters’ fries, and at least one musical number per show. So, even as you succumb to the organizational panic of October, don’t let anyone tell you, you don’t have time for a quick fairy-tale in the form of a 10 minute long wild and crazy adventure with swords, sorcerers, beasts, ghosts, alternative universes, and of course plenty of ice-cream. Sometimes the magically real comes in a small package. And those tiny treats can be the scrumptious. Let us know if your condition improves! OMG I just saw this! Must add to my viewing schedule. I think you will find it interesting. The more you look at it, the more you will see a sf implied backstory, which is rather dark.